I am a huge fan of meal planning, especially if you are looking to transition into a healthier, more sustainable diet. We make our worst decisions when we are tired and hungry and want something immediately, which is why meal planning and having healthy food readily available is crucial. However, in addition to our meals, we also need to think about our snacks because often times it is the foods we eat throughout the day where we make our worst decisions. I recently created Macro Men, my portable protein powder nut butters that were amazing for travel or a quick energy boost. To add to my snack collection, I created MCT Men, tiny gummies made with grass-fed gelatin which is great for gut health and MCT Oil. I added MCT Oil to help sustain my energy levels as MCT Oil is easier to digest and readily absorbed as energy. MCT oil is also full of countless health benefits like helps support healthy weight and hormone levels as well as boosts immune system and promotes healthy gut bacteria. Check out my article for more information on all of the amazing health benefits of MCT Oil. Keep in mind, you want to heat this to the lowest possible temperature in order for the gelatin to dissolve to avoid killing any of the beneficial bacteria in the kombucha. Also, make sure you let it cool slightly before adding in the MCT Oil so you maintain all the health benefits in the oil as well. What I love about MCT Men are that you can use virtually any fruit or juice in this recipe. 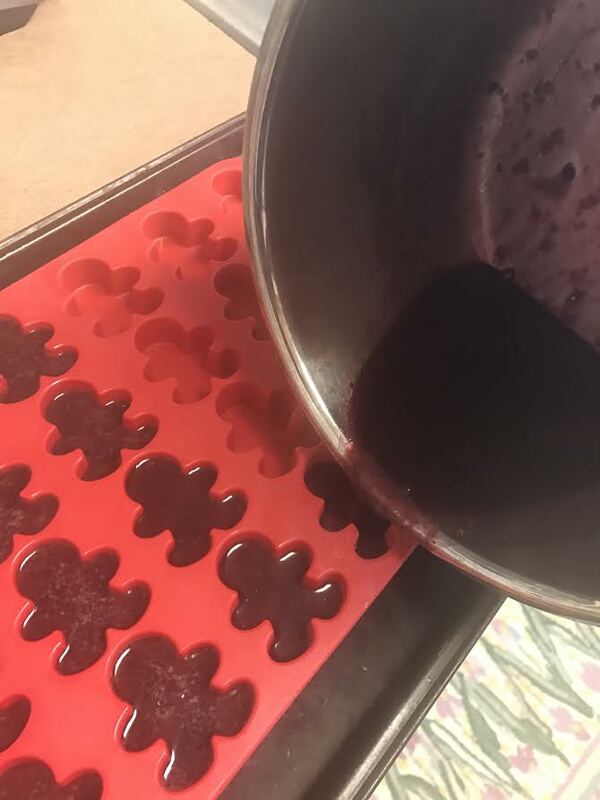 Here, I used frozen blackberries and a berry kombucha, but you can play around and use different frozen or fresh fruit and various beverages. Also, these guys are not very sweet, they are more neutral in flavor but have a hint of sweetness and tartness from the berries. If you would like additional sweetness, you can add fruit juice or a raw, local honey. Enjoy! Blend frozen fruit with kombucha until well combined. Pour mixture into saucepan and heat on lowest temperature possible. Be careful not to bring to a boil here as you do not want to destroy health benefits of kombucha. Add gelatin 1TBS at a time and whisk until combined. Remove from heat and allow mixture to cool slightly, then add MCT oil and mix well. Pour sauce into ramekins. It is helpful to have ramekins on a cookie sheet so that they are easy to transport to the fridge. Place ramekins in fridge for about 30 minutes to 1 hour until firm. Gently pop out the molds and enjoy!